Game changing hospitality and mouth watering BBQ! The Tailgater Toby menu includes over 20 signature, slow smoked BBQ meat, including pulled chicken, pulled pork and beef brisket, Gourmet Hot Dogs and delicious sides, such as Mac ‘n Cheese, creamy coleslaw, smoky baked beans and the classic American potato salad. 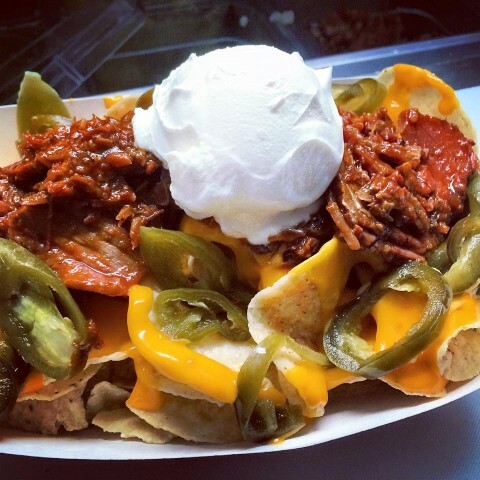 Oh, and did we mention pulled pork nachos? Check Tailgater Toby’s Facebook page to see what they are serving today!